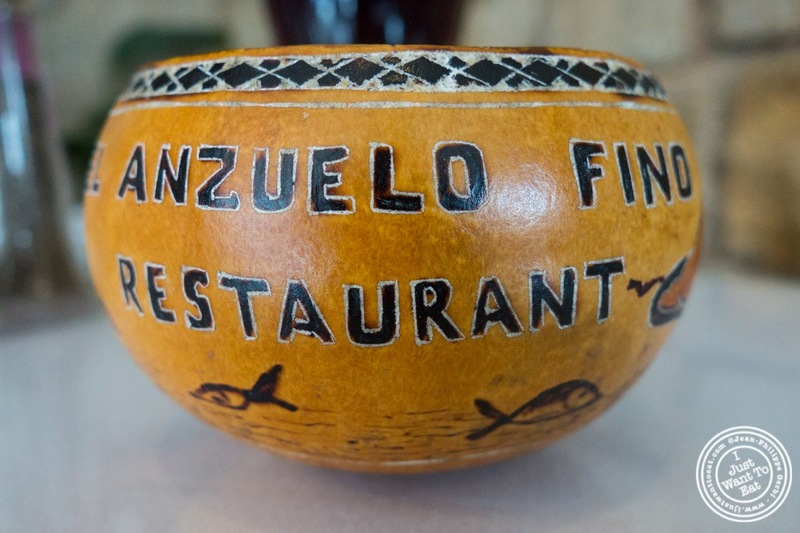 I recently got invited to El Anzuelo Fino (The Fresh Fishhook) in Woodhaven, Queens. 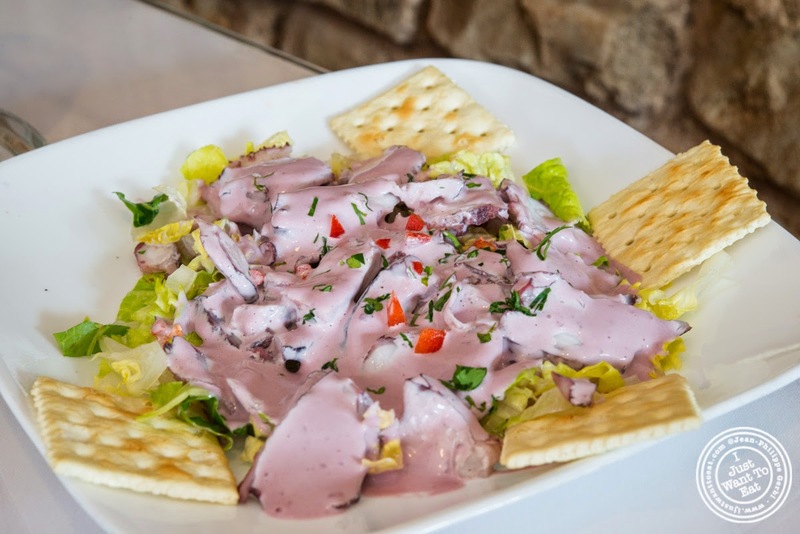 This place opened in 1998, after the owners, Maria and Amilcar Torres, who opened a restaurant with the same name in Lima, Peru in 1982, decided to relocate to the US. It is a small place, with definitely a neighborhood feel. A family business for sure: Amilcar was inspired by his mother to become a Chef and Boris, his son, followed the same path after falling in love with this industry at the age of 12, while working with his parents. 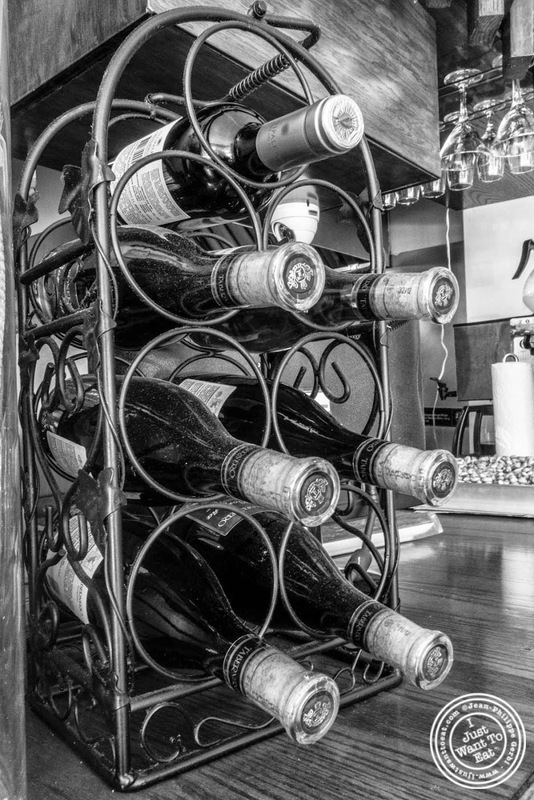 Later on, after being trained by Peruvian Chefs, Boris attended the French Culinary Institute and worked in NYC restaurants including Red Rooster, Boulud Sud, Nuela, La Mar, and Raymi before taking over the management of El Anzuelo Fino. 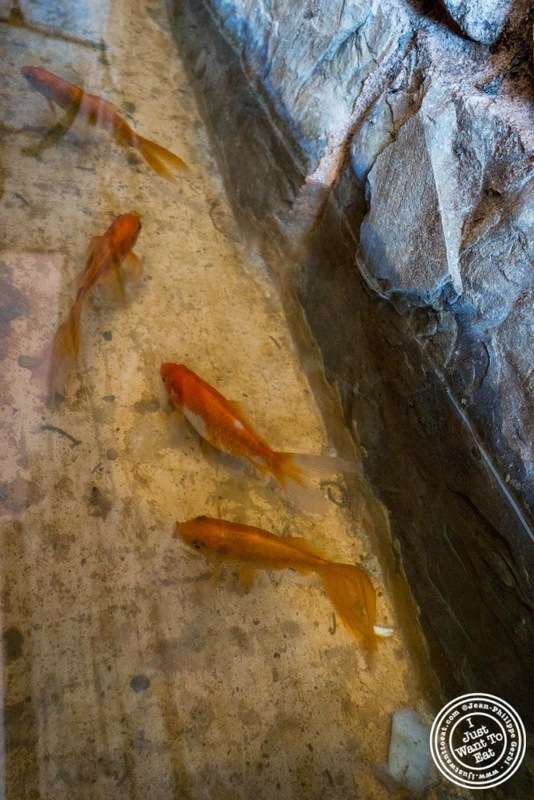 The decor there is really simple, if it is not for the stone wall with fishes in the bottom, swimming freely, probably knowing that they would not be served as ceviche. 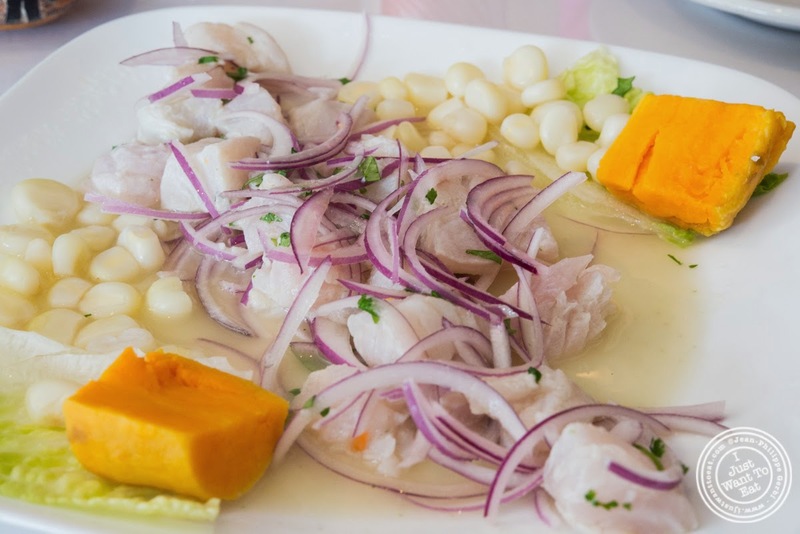 Because I learnt from my friend Chef Vanessa Greeley, who is from Peru, that ceviche is definitely, with lomo salteado, a specialty of the country. 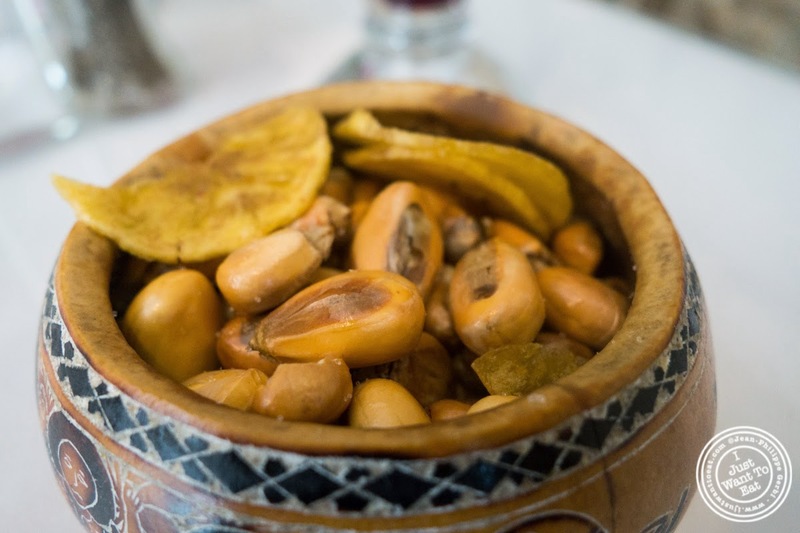 For our first immersion into Peruvian cuisine, our host was Maria Torres herself. 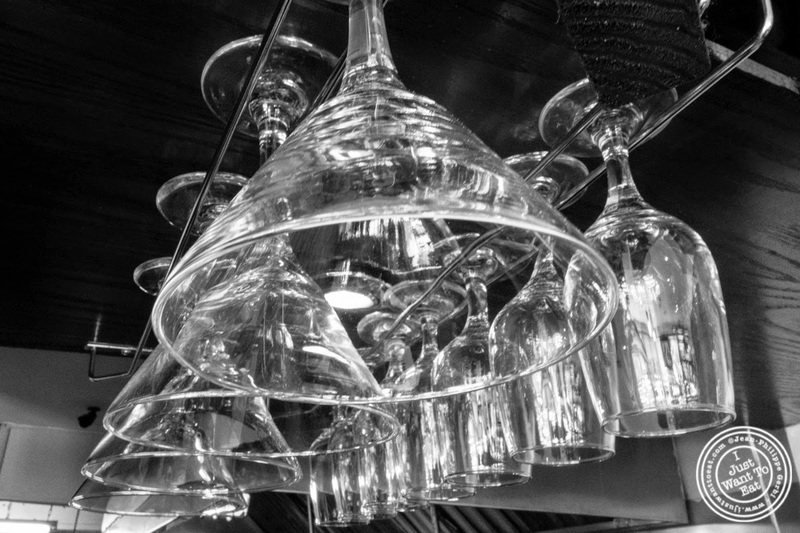 She explained to us the story behind the restaurant, as well as the passion her family has for this business. Before I talk about the food that was presented to us, let's talk about the beverages. 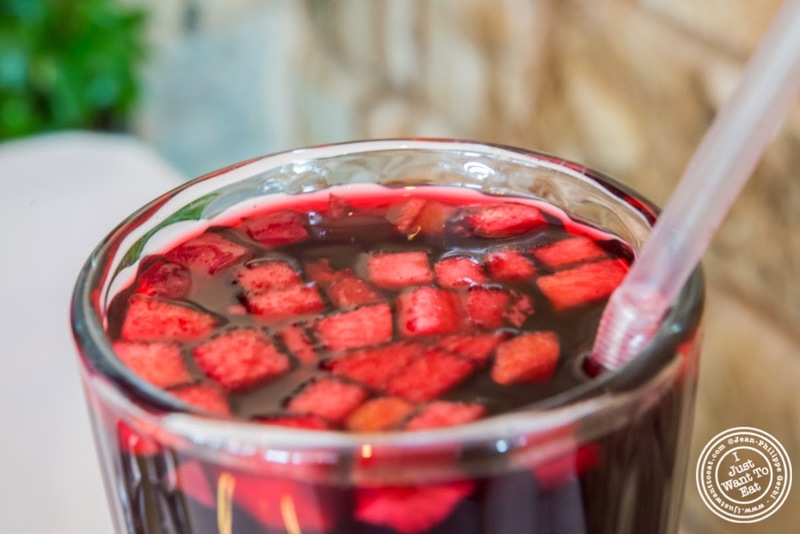 First is wine: they do not have a wide selection there, but if you are curious about Peruvian wines, you should be satisfied. 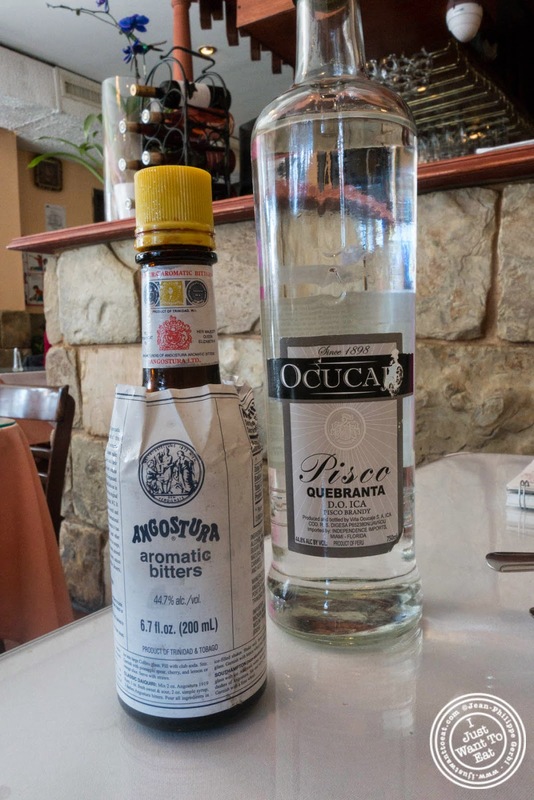 They also have cocktails, like the Pisco Sour that Maria prepared for me. 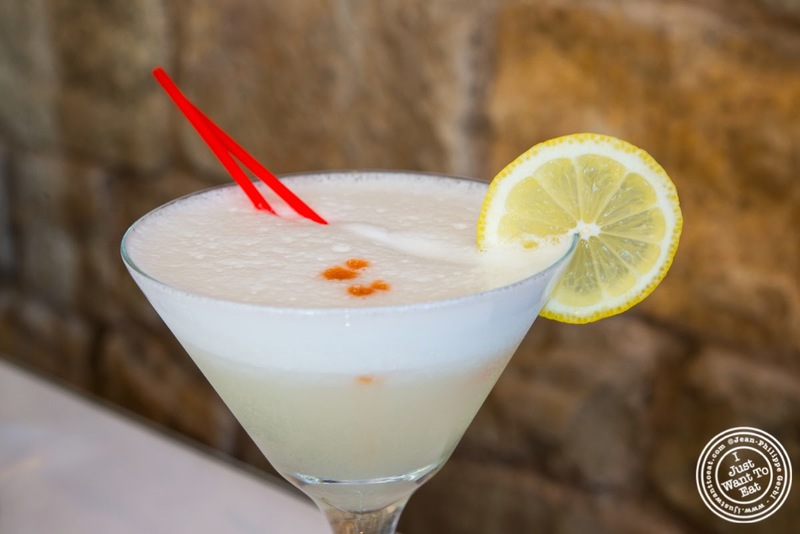 It was made with Pisco and just 2 drops of Angostura for the sour taste. 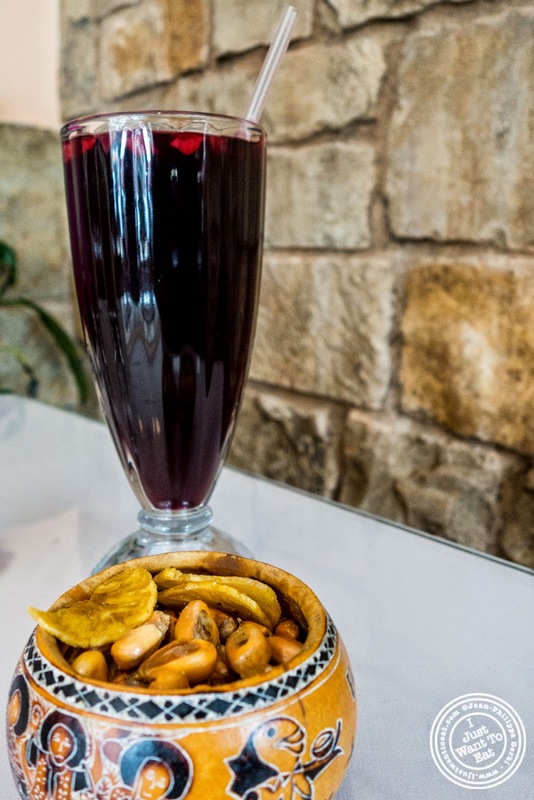 Chicha is a drink made with purple corn that is boiled for 2 hours and then prepared with fruit like apple and pineapple. It is quite sweet and thick, with a taste that I cannot really compare to anything. 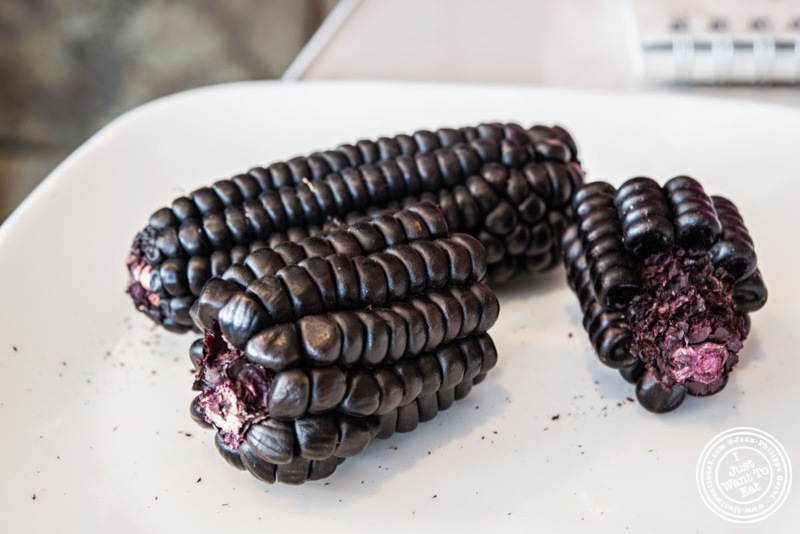 It was our first encounter with purple corn, that I never tried before and that we would retrieve in our dessert. 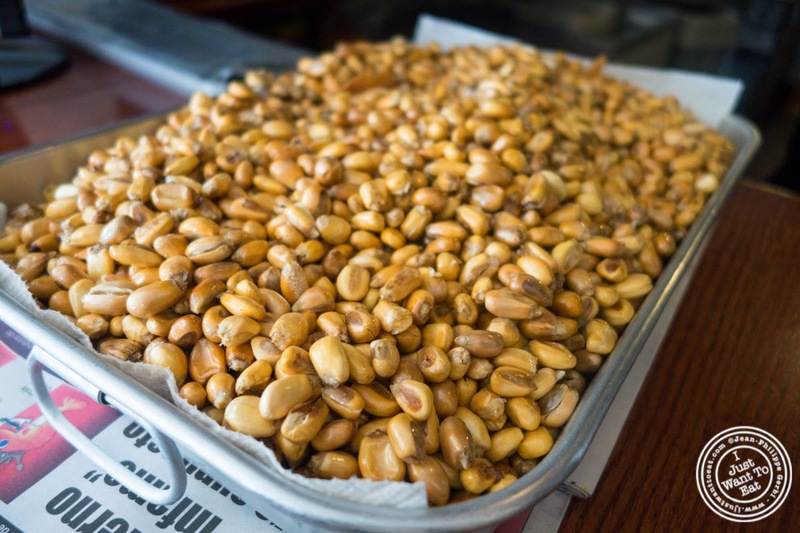 With our drinks came cancha, that is dried corn that is fried. Then, we started our discovery of Peru. 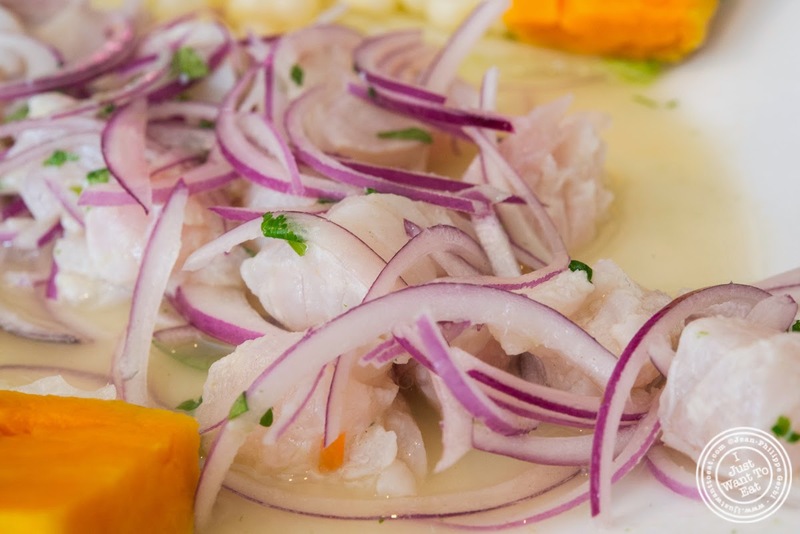 The first dish was a ceviche made with pollock fish (ceviche de corvina). It was served with sweet potatoes, French corn and onions. I liked it: it was fresh and refreshing with a nice lemon hint. I love veal heart, so I was glad they served us this dish where the meat was accompanied with French corn and some potato. I admit that I mainly focused on the meat that was perfectly cooked and had a nice char from the grill. Next was the pulpo al olivo or grilled octopus topped with a creamy black olive sauce. This was just an ok dish for me as there was unfortunately too much sauce and I ended up removing it from the octopus that was very good and tender. 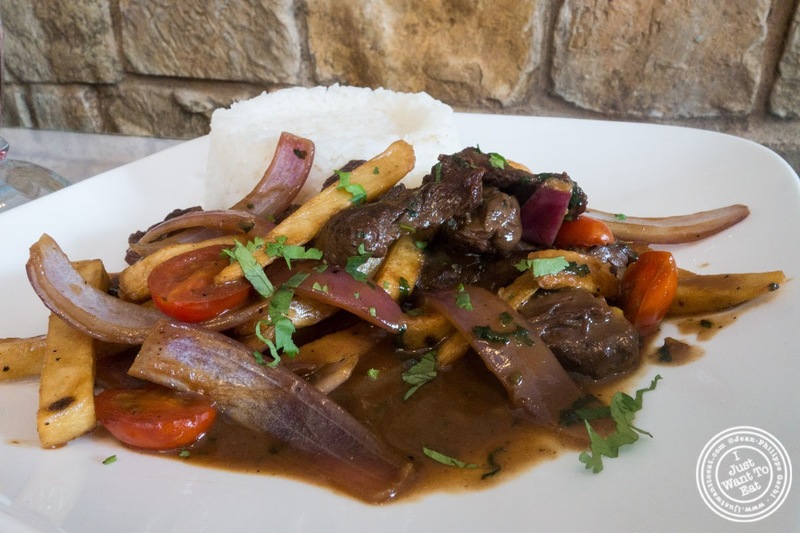 Then came the lomo salteado, a dish prepared with some top sirloin that is diced and cooked with onions, tomatoes and French fries. I liked it: original in a way with the fries mixed in, the meat and sauce were tasty. The last dish was the corvina a la macho. 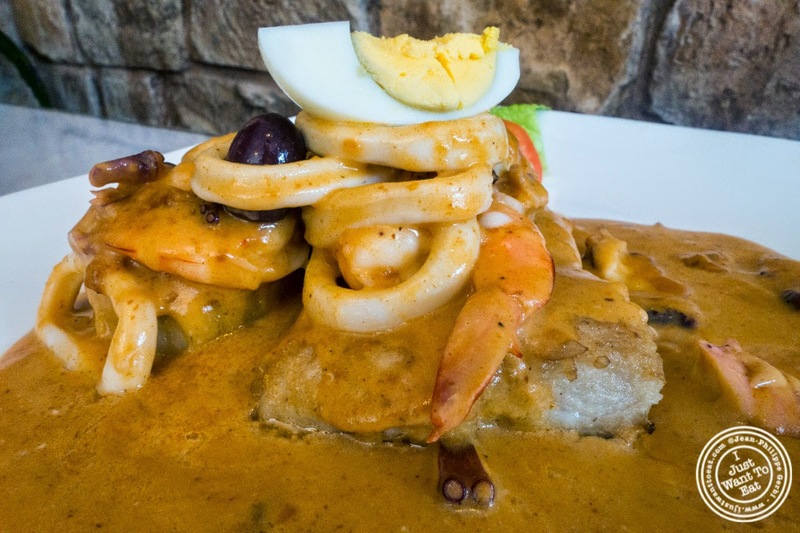 It is a fish filet (it depends on arrival, this time we got flounder) that is cooked in a secret sauce and covered with some seafood (octopus, calamari and shrimp). If you like seafood, it is a nice dish: all the elements were perfectly cooked, the calamari and octopus were not tough, and the sauce, that cooked for 3 hours, was delicious. 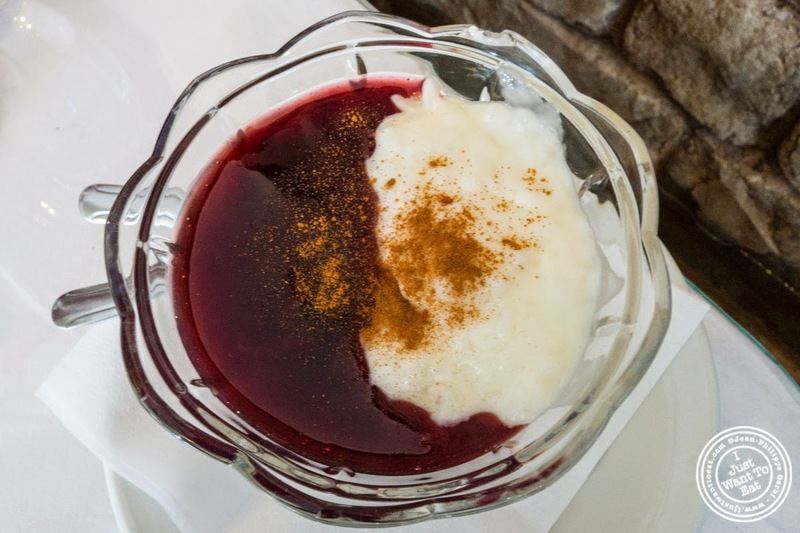 Just the rice pudding part was delicious and creamy, but with the purple corn pudding, it was fantastic! The left part of the pudding was prepared, besides with corn, with pineapple, vanilla, lemon and anise. 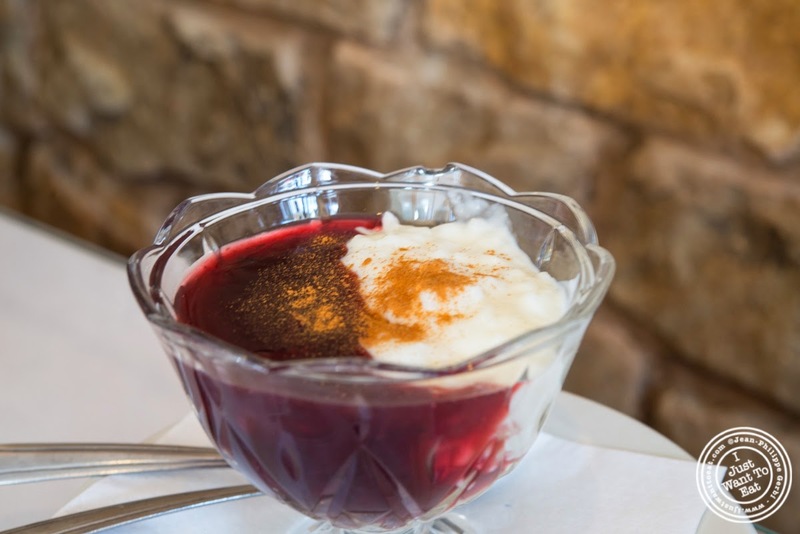 It is definitely a good alternative to a simple, but delicious, rice pudding. 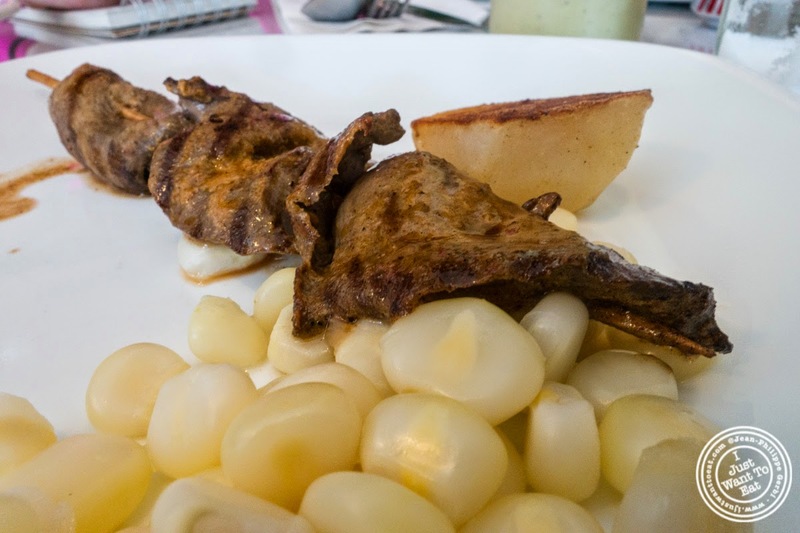 The lunch at El Anzuelo Fino was quite good and a nice discovery of Peruvian food, with dishes that were interesting to try. 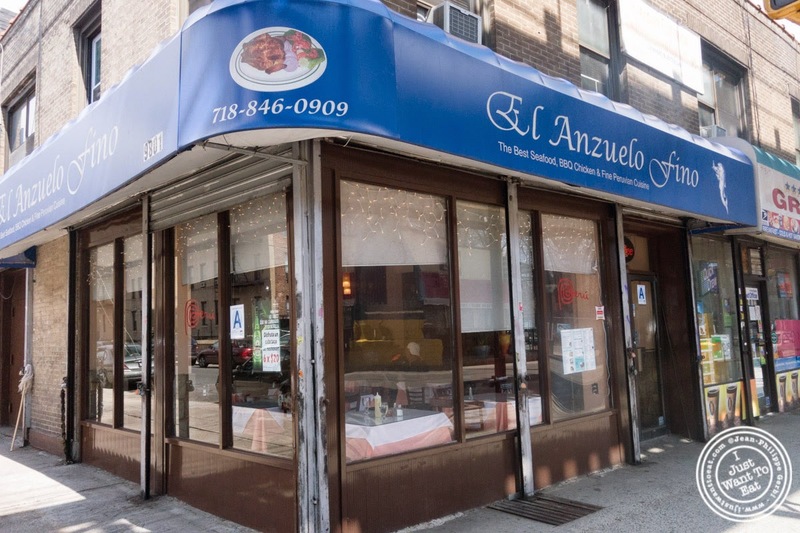 Know that they have a sister restaurant in Jackson Heights, opened in 2008.